As an LGBT+ student, I find myself apprehensive about the academic atmosphere as well as the workplace. I’m not worried about success or fitting in, for the most part; I feel conflicted with my own identity and how to embrace it while at school or in the workplace. I feel as if I’m forced to choose in every new situation: do I hide it or put it on display? I’m not ashamed of my identity but sometimes I feel out of place and alone, especially in my classes which never address the social aspects of nuclear energy or industry in general. That loneliness is exacerbated by the fact that I have no idea where my peers stand on LGBT+ issues in addition to acceptance. It’s an easy topic to avoid because they’d rather not discuss it – what a frightening attitude to have when faced with LGBT+ and other social issues. I had the realization that before I met Sam Brinton – one of the founders of Nuclear Pride – that I knew one explicitly LGBT+ engineering student. A student who doesn’t even attend my university. I had an LGBT+ community outside of my engineering pursuits but I had no support in my own classes, no context. The number of times I’ve argued with a peer about why it’s offensive and harmful to say “that’s gay” and faced complete indifference to the LGBT+ community is discouragingly high. Using “gay” as a synonym for “stupid” is harmful to the LGBT+ community because it minimizes the issues we face by turning us and our issues into a joke. My sexuality isn’t a punchline and when it’s used as such, it contributes to the erasure of LGBT+ issues. Sometimes, I find it easier to fly under the gaydar. Not coming out can be safer in a world with so much visible hate against the LGBT+ community, however, it shouldn’t pervade my entire academic and professional life. I now know enough LGBT+ engineering students and engineers to count on two hands – a vast improvement. This has helped me see where I can play a role in nuclear engineering without abandoning my pride. Before, I could never visualize how I would present in further academic settings or the workplace and I was scared to address that. Representation is critical to how everyone sees themselves and how their path is shaped. It enables you to learn about identities other than the dominant identity (white straight male) and to embrace your own identity. Seeing other LGBT+ people has taught me about the multitude of nuanced identities in the community and enabled me to learn about pansexuality, which I found best to describe my identity. It also facilitates learning by example: seeing LGBT+ individuals owning their identities in the workplace has been a powerful example to me. Having a community of peers is valuable, but seeing LGBT+ professionals has a huge impact on how your path is guided. Some employers are not accepting of LGBT+ employees and hiding might be safest choice; this can even lead to the fear that it’s completely unsafe to be out in a certain field and could affect career trajectory. This is a huge factor in why LGBT+ identifying people continue to earn less than our straight counterparts – our careers don’t advance because we don’t feel safe enough to take those risks that take you new and exciting places . Sticking out can be detrimental even if it’s good for our careers. As a field dominated by straight white men for much of its existence, the field of nuclear science and engineering has perpetuated this fear for me. 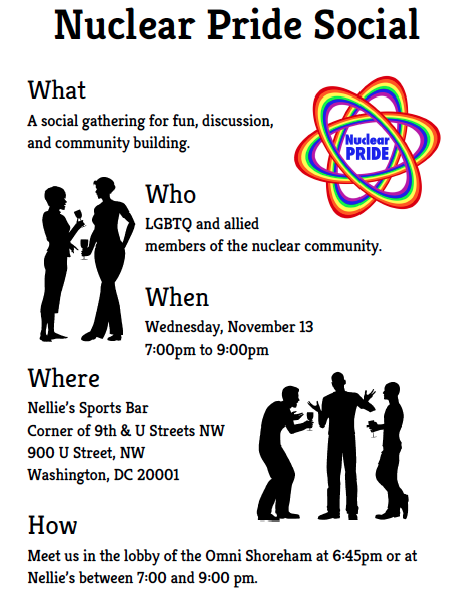 Joining the American Nuclear Society provided me the opportunity to meet other LGBT+ students through the grapevine of allies. 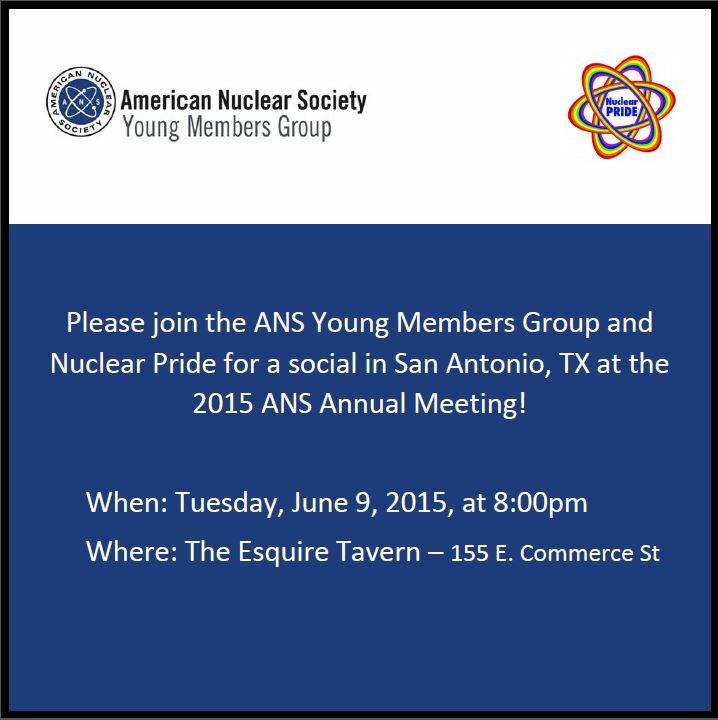 I count myself as lucky to have joined ANS when Nuclear Pride already existed which created a context to build my own community of LGBT+ engineers. ANS facilitated that spread of awareness for me and that is a great service. Professional communities should explicitly support minority communities by creating frameworks to uphold and spread that support. 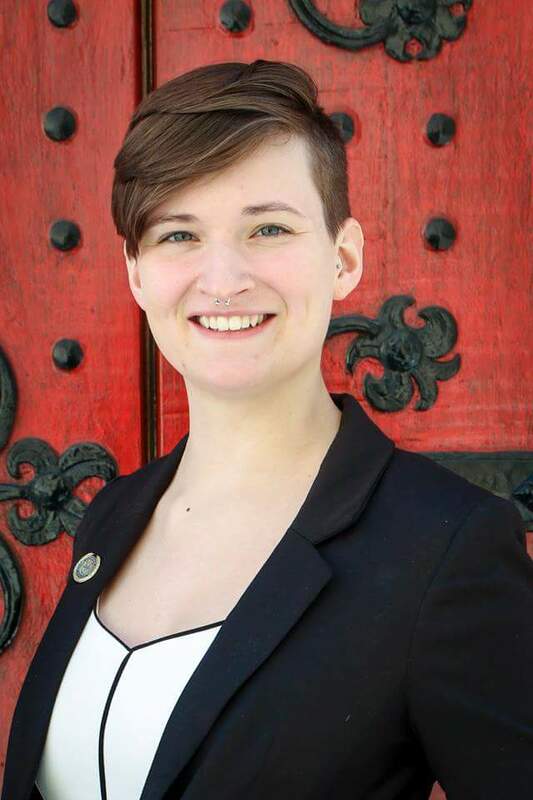 Nuclear Pride was not only a signal that it was safe me to come out to my colleagues but also a sign I could embrace my identity in my engineering community. There are some who say that this business does not belong in a professional setting, however, it’s commonplace to ask about everyone’s significant others when it’s male-female couplings. That isn’t to say all of those couples are straight; if I were in a relationship with a man, it would not make me any less pansexual. I still hesitate to answer questions about relationships when in a professional setting and that isn’t due to any reluctance to share a private or intimate relationship – I am hesitant because I don’t know what the reaction will be. ANS embracing Nuclear Pride exemplifies an administrative decision to explicitly support a minority group within a larger context. With this support, I can feel safe about claiming my identity. 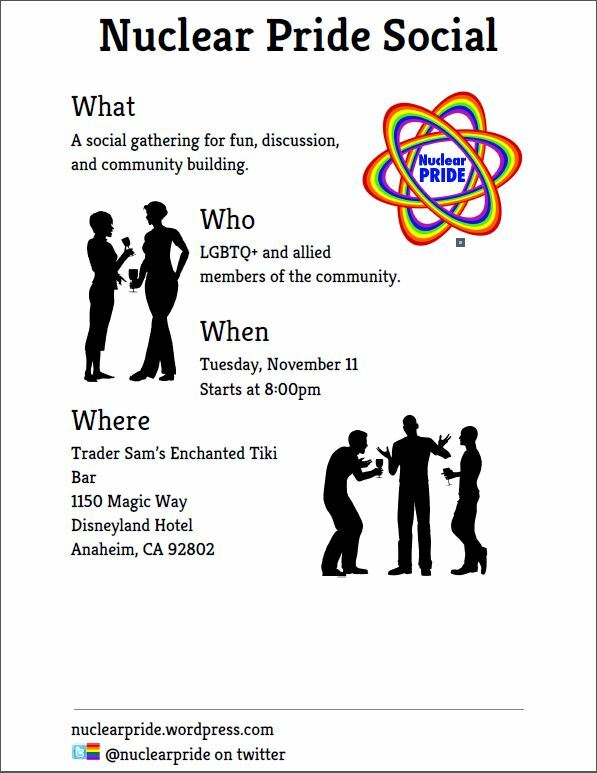 With the discussion of LGBT+ issues, it’s likely that more people will be enabled to better understand members of the LGBT+ community. It also provides opportunities for people to claim their identities in a safe space, as well as opportunities for self-actualization for those who are questioning. When you know that you have the support of your community, it is easier to find your place in the world. When you’re fighting for every shred of respect in life, you can’t afford to be vulnerable by coming out or even questioning your identity. 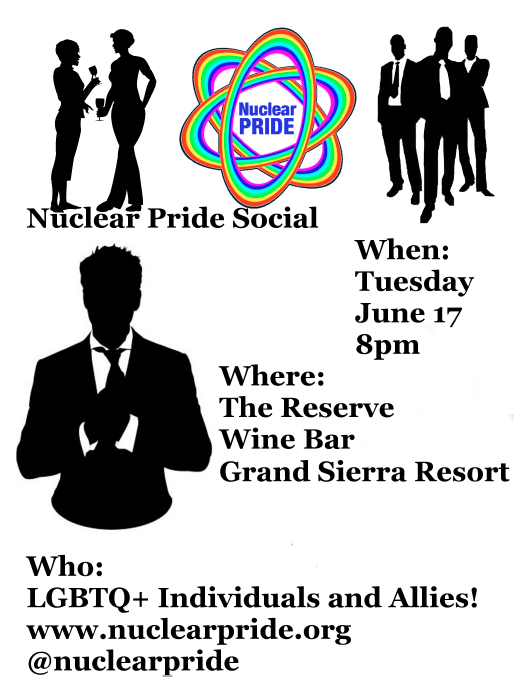 By creating more safe spaces in ANS with Nuclear Pride and connecting everyone with more resources, we are providing more opportunities for folks to self-actualize and embrace their own identities. National LGBTQ TaskForce. Equal Pay is an LGBT Issue. Web. September 20, 2015 http://www.thetaskforce.org/equal-pay-is-an-lgbt-issue. We all need safe spaces: places where we can feel comfortable enough to fully express ourselves. We need them to be able to focus, engage, and participate. We need them to have vibrant workplaces and fulfilled lives. Workplaces that do not engender “safe spaces” may have employees who do not live up to their potential or who do not feel comfortable speaking up when something is wrong. Currently, many spaces aren’t safe for people to be who they are, and this is having an impact on performance and achievement. What would change if we all tried to make the spaces around us a little safer? How much happier and more productive would we be? safe to express all the parts of their identity (sexual or otherwise) they are comfortable sharing. From an employer/employee perspective, why do we care about this? Some of the impacts of not feeling safe are very clear: if a person is not comfortable pointing out an error in a calculation or underlying assumption for any reason (Manager X doesn’t listen to me because I’m purple; Person Y disregards my opinion because I’m a ballerina; Engineer Z doesn’t hear the things I say because I like bumble bees), there could be a real safety or product problem. There are also impacts that are less immediately concrete, but still very real. Stereotype threat  is a term used to describe the idea that members of any group about whom negative stereotypes exist may under-perform because the negative stereotypes raise inhibiting doubts and high-pressure anxieties. These doubts and anxieties cause the individual to perform at a level that is below their true potential. Thus, being in an environment that does not feel safe can cause general under-performance across the board. Right now, many spaces are not safe at work, in social groups, or anywhere in between—and this is having a real impact. A mild but illustrative personal example is how I was affected by the process of writing this post. I had a hard time finding a topic because I was concerned about how to position what I wrote within the context of my sexual orientation. This caused me to continually miss the deadlines I set for myself and to spend a lot of time and energy worrying about it while making no progress. Why did that happen? I didn’t feel like the community who might read this is a safe space to discuss my sexual orientation. My ultimate conclusion was to write a story in which I don’t indicate which of the myriad of LGBTQIA [2, 3] letters I view as representing me. It would be amazing to be in a world where it doesn’t matter and I would always feel comfortable, but we’re not there yet. The point of this post is that maybe we could get there–so let’s consider how to create safe spaces. It really comes down to respect. Ensure that everyone is clear that they will be respected because of the talents and contributions they bring to the situation that have bearing on the situation. That is, they will be “measured” by performance and nothing else. Further, let’s welcome diverse opinions and views without judging those opinions and views (excluding being malicious). Having the ability to express yourself can engender the idea that different opinions are welcome–if it’s okay to be different then it’s okay to think differently, to challenge, and to disagree. Encouraging the richness of self expression encourages diversity of thought. As we work to help people feel respected, note that people are different and they respond differently to the same things. Just because a space feels safe for you does not mean that it feels safe for someone else. We cannot assume what someone else needs; we need to actively engage with them and check in. Listening to how people feel and acknowledging that their feelings are valid is a great first step. We do not have to agree with their interpretation; however, acknowledging that someone is actually feeling unsafe will help us understand how to help them feel safe. Everyone has something to contribute and we need everyone contributing fully. Invite people to thrive by treating them like they can, no matter who they are. Create a community where everyone’s talents can be welcomed and valued and where everyone can feel supported in expressing who they are. By building a culture of respect we can engender safe spaces. The more widespread safe spaces become, the more we all can accomplish. This is a mountain without a top; let’s strive to keep on climbing. Stereotype Threat Widens Achievement Gap. American Psychological Association, July 15, 2006. Web. August 12, 2015. www.apa.org/research/action/stereotype.aspx. LGBTQIA Resource Center Glossary. UC Davis LGBTQIA Resource Center. Web. August 13, 2015. lgbtqia.ucdavis.edu/lgbt-education/lgbtqia-glossary. Moody’s LGBT Resource Group. The “A” in LGBTA, An Allies Guide. Web. August 13, 2015. www.moodys.com/sites/products/ProductAttachments/LGBT%20Allies%20Guide.pdf. 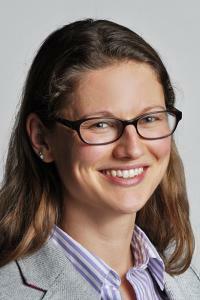 Rachel Slaybaugh is an Assistant Professor of Nuclear Engineering at UC Berkeley.